For those who suffer from chronic migraines, the problems can involve more than just the physical symptoms that have to be dealt with. They often manifest at inopportune times. They take away from work, time spent with loved ones, and other important activities. When a migraine presents itself, all other things are put on hold. Adding to the frustration is the narrow spectrum of treatments offered. Many times, these treatments are medications that provide short-term relief, leaving those with migraines to wonder when the next attack will strike. Part of the reason why treatments are not as effective as one would hope for is due to the very nature of migraines. There is not much known as to how and why they come about. However, proper blood flow and neurological function play a role. Studies suggest that issues stemming from neck alignment can interfere with these normal and vital neurological functions with migraines being a by-product. How does this work? Sitting on top of the spinal column are the two vertebrae called the atlas (or C1) and axis (C2). Their unique position is a precarious one as numerous systems and structures pass through. It is a pathway between the body and the brain for blood flow and neurological signals being sent back and forth. A misalignment could impede these functions, leading to conditions suitable for causing migraines. If this is the case, what can be done to ensure neck and spine health, as well as aid in relieving migraines? Upper cervical chiropractic specializes in this upper region of the spine. This specific discipline is focused on correcting misalignment of the atlas and axis vertebrae. Once proper positioning is carefully achieved, the systems passing through that area can regain normal function. 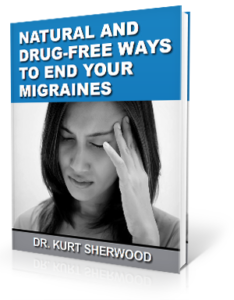 This natural healing process can provide long-term relief for migraine sufferers.